The experienced finance and auto lease experts at Diehl of Salem in Salem, OH can get you into a new or used car, truck, or SUV with a loan or lease that is custom tailored to your individual needs. 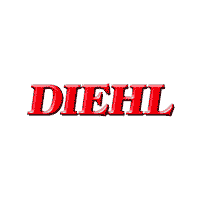 Diehl of Salem has helped many drivers from Youngstown, Canton, Warren, Akron, Lisbon OH acquire the vehicle of their dreams with a loan or lease they can be comfortable with. If you have been turned down due to bad credit or no credit, contact us because we can help! Auto financing can sound intimidating to some folks. You may be unsure about particular rebates and incentives versus financing offers, or perhaps you might be deciding between a loan and a lease. Rest assured the financing team at Diehl of Salem will walk you through everything. We’ll carefully explain all of your options to make sure not only that you get the best deal possible, but we will assist you with choosing a great deal that best suits your particular needs. Browse our new and used inventory or stop into our showroom located at 400 Legacy Lane, Salem, OH. If you have any questions, give us a call at (330) 337-3475. Diehl of Salem proudly serves Youngstown, Canton, Warren, Akron, Lisbon.